Emaar Imperial Gardens Is A Premium Residential Complex Situated In The Heart Of The Buzzing Commercial Sector 102 In Gurgaon on Dwarka Expressway. The Project Is Built To Give People With A Penchant For Fine Living A Perfectly Balanced, Ecologically Superior, Luxuriantly Green Space Option. The Astounding Attention To Detail And Efficient Layouts Makes Emaar Mgf Imperial Gardens Gurgaon The Last Name In Subtle Luxury And Comfort. There Are Living Options In 3 Bedroom Apartments All Of Which Are Centrally Air Conditioned While Most Offer A Stunning Garden View. The Emaar Imperial Gardens Gurgaon Is Located In A Good Central Location Where Multiple Conveyance Options Are Available. 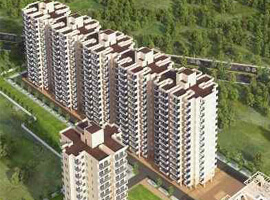 The Project Is Very Near The Indira Gandhi Airport And The Basai Dhankot Railway Station. Other Places of Importance near Emaar Mgf Imperial Gardens Sector 102 Is the BPTP Amstoria which is 200 Acres Township by BPTP & s A Prominent Diplomatic Enclave Which Is Set Up By The DDA is very Near to This Projects. Emaar Imperial Gardens Sector 102 Is Well Connected to Dwarka Expressway, NH8 And The Basai Road. This Ensures Easy Travel Routes By Car Or Bike To Any Destinations Which Are Reachable By NH8. In An Increasingly Grey Concrete World The Emaar Mgf Imperial Gardens Gurgaon Has Made An Admirable Attempt To Surround The Living Spaces With Acres Of Pure Unadulterated Green. The Living Accessories Of Emaar Mgf Are As Below. Emaar Mgf Imperial Gardens Dwarka Expressway Are Equipped With Every Kind Of Amenity That Will Make Life Comfortable For Its Residents. The Apartment Complex Is Equipped With Every Facility That Aims To Make The Living Apace Self Contained And Fully Sufficient. Plaza: The Multi Specialty Convenience Store That Stocks Beverages, Snacks, Groceries And Regular Use Goods In A Fully Air Conditioned Convenient Environment. 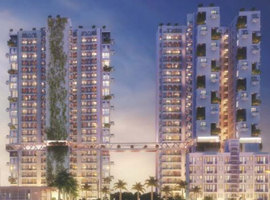 The Project Possession Of Emaar Mgf Imperial Gardens Gurgaon Is Slated To Begin At The End Of 2018. Emaar Mgf Imperial Gardens Apartment Prices Have Increased Due To The Boom In Real Estate Price. Quick Bookings Are Sure To Result In High Real Estate Gains In Future. Sapient realty provides wide range of Commercial, Affordable and Luxurious Housing projects in Gurgaon, Sohna & Delhi NCR which are coming under HUDA GOVT. AFFORDABLE HOUSING SCHEME. we are offering all list of affordable housing projects & Commercial Projects with in range in Gurgaon. Our website is updated with all Current and upcoming Affordable projects in Gurgaon.